We are happy to welcome you on the website dedicated to the creative heritage of Marina Tsvetaeva. M. I. Tsvetaeva’s archive belongs to genuine treasures of Russian literature of the 20th century. All her life Marina Tsvetaeva carefully kept her creative archive moving it from Soviet Russia to Berlin, Prague, Paris and, despite censorial limitations and enormous risk, brought it back to the USSR. After that the manuscripts had been equally carefully kept by Ariadna Efron, who willed the whole archive to TsGALI (RGALI). By that time the fund of Marina Tsvetaeva had already been created. At present it includes more than 1100 storage items. Among the materials of the fund there are autographs of poems, long poems, prose, dramatic works, as well as collections and handwritten books designed by Marina Tsvetaeva herself. An extremely valuable part of the fund is represented by the poetess’s notebooks – clean, draft, general ones and workbooks, which make up unique complex providing an opportunity to restore the fate of works and author’s life up to each single line. We would like to express profound gratitude to Elena Baurdzhanovna Korkina, who has created the scientific description of this enormous fund, which is the basis of what we can see on the website. 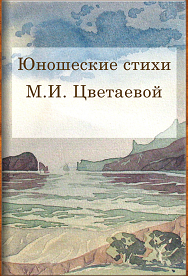 The collection of the Manuscript Division of IRLI includes creative manuscripts of M. I. Tsvetaeva, namely the unique “Red notebook”, which contains records made in 1931-1933, autographs of the poem cycle “Forest” (1922), the handwritten poem collection of 1921 etc. The electronic catalogue of the website allows both context search and search on certain parameters, such as title of file, dates and names, place of storage, type of archive documents and their mode of implementation. The websites of the portal require registration of researchers and scientific groups. Registration will allow you to access electronic copies of the documents in good quality (with high resolution) and conduct detailed textological research. We would also like to understand who our audience is. The section “Digital archive” contains creative heritage that is kept in the funds of RGALI and IRLI, RAS. In the “Research” section scientists can familiarize themselves with both classic and contemporary scientific works dedicated to the poet’s heritage. The section “Inventory” contains scientific and reference materials of the funds. We also recommend you to visit the section “Electronic textology”.